Join the Rae Gordon Band on October 6 for the biggest party and Fall Floating Fundraiser of the year! Once again, Rae and the guys will be hosting a Willamette River party on The Portland Spirit, featuring the acts who won the Cascade Blues Association’s Journey To Memphis competition this year at the Waterfront Blues Festival. Those winning acts, Ben Rice and The Fenix Project, will be traveling to Memphis, TN in January to represent the CBA and the region at the International Blues Challenge, one of the largest blues events in the world. Acts from around the globe will descend on Memphis’ famed Beale Street for four days of competition to help find some of the best unsigned Blues bands on earth. 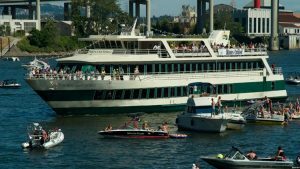 Music will be flowing on all three levels of The Spirit, from 3:00 to 5:00 pm as the ship cruises up and down the Willamette River for amazing views of the downtown Portland skyline. 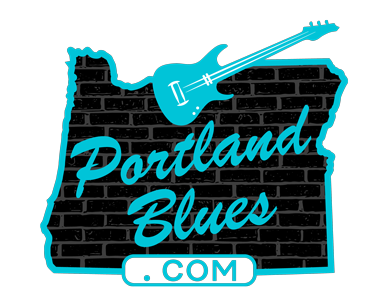 Come dance and sway with other blues lovers and support YOUR CBA representatives and help put Portland on the blues map. Food and beverages will be for sale on board, plus there will be drawings and a silent auction taking place. Funds raised through these and ticket sales will help offset some of the cost for the acts to travel to Memphis.